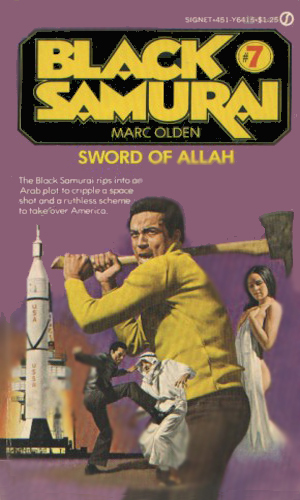 Robert Sand, the Black Samurai, is an agent for the President. At the age of 21, Robert Sand was a young army private on R&R in Japan from his first tour in Vietnam when he came upon several drunk American soldiers harassing a elderly man. After receiving two gun shot wounds for his troubles while trying to help the man, Sand soon realized that defenseless was not a word to use for the aged gentleman. 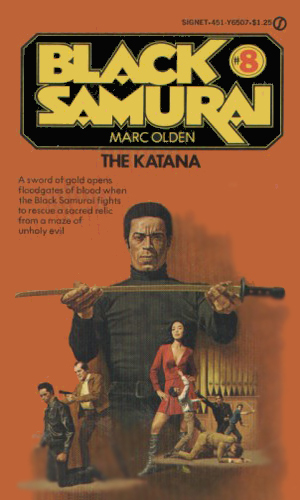 Konuma was the man's name and he was a Master samurai training a small group to continue the ancient traditions. Seeing something in the selfless act, Konuma used his considerable influence to have Sand released from the army and sent to his encampment where he was offered instruction. 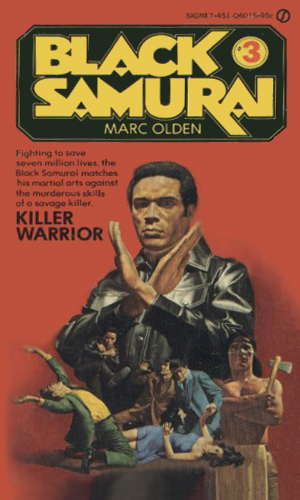 For seven years, Sand studied diligently the honorable ways of the samurai, including an almost unlimited number of ways of fighting. From bare hands through knives and arrows and sticks and throwing stars to the modern rifle, Sand and his new brothers learned how to defend themselves and how to take a war to others. During this long period of training, Konuma introduced Sand to William Baron Clarke, a former President of the United States as well as being an extremely rich man who worried considerably about the rise in evil around the world. It was Clarke's wish that Sand join his struggle to right the wrongs no matter where they were found. Though intrigued, Sand elected to stay with his Master until the old man died or sent him away. When the former happened and Sand was left without an anchor, he turned to the demanding world leader and became his strongest weapon in the fight against tyranny and terrorism. 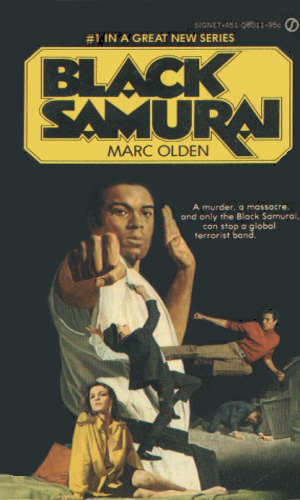 When his 'family' of fellow samurais are murdered by a renegade American army officer, Sand turns to the former U.S. President for guidance and enters that leader's service to stop the massacre of an entire American community. The head of America's seventh largest corporations has a plan to get his hands on a fantastic amount of gold though it means bringing the Soviet Union and China to possible war doing so. Sand is sent to keep the war from happening by stopping the plan. 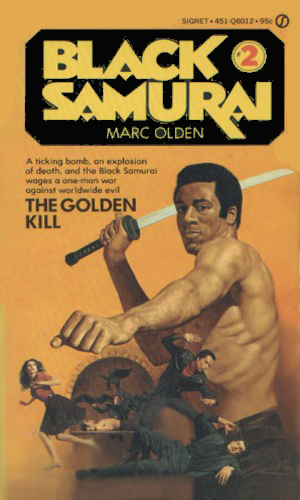 A wealthy Japanese industrialist continues to hold a massive hatred for all things American after the defeat of his homeland and has come up with a way to exact revenge. With the help of a major arms dealer, he plans to destroy New York City in a nuclear fire. The 15-year old daughter of a Secret Service agent guarding Clarke has gone missing. In trying to help find her, Sand uncovers a massive white-slavery operation whose tentacles reach to every part of the globe. The man named Dessalines was the head of a group called the Inquisition, a terrorist group determined to bring anarchy to the world. His scheme for doing that started with the kidnapping of Clarke's own daughter. The man known as the Warlock was a master at the art of blackmail and he had used his skills to destroy many powerful families around the world. His target now was an influential couple in Indochina whom Sand had known years before. In a strange partnership, a Arab terrorist group wanting to strike at America teams up with right-wing extremists lead by a radical U.S. Senator to attack the latest space flight, the first step in the politician's goal of taking over the country. A fabulous sword of gold, complete with a hilt of ruby, made centuries before as a gift to the Emperor of Japan, had been stolen and was being offered to the highest bidder. Angered at the sacrilege, Sand is determined to fight all of organized crime to retrieve it. 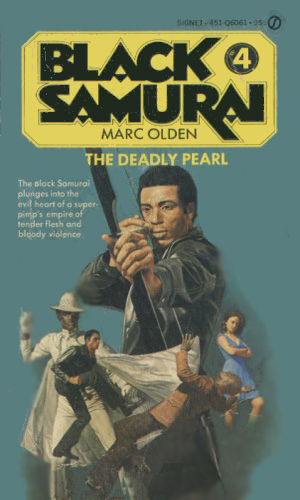 Robert Sand is send to rescue a Chinese girl who is being used as the key for the bad guys to get their hands on a horrific new weapon. 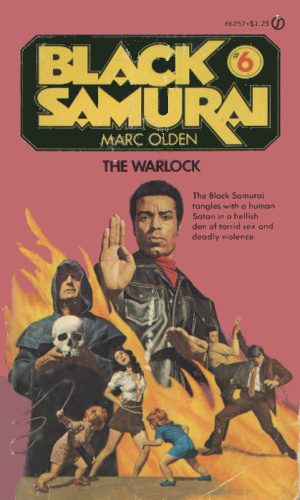 The Black Samurai series came at a time that Pinnacle Books was proving so successful with action/adventure series. Released by Signet, this line took a different approach and gave the readers a non-white hero to cheer for. 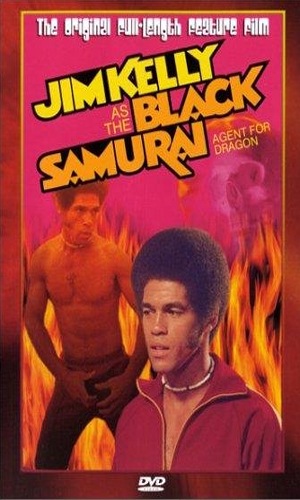 Indeed, the character was really of two cultures as his background was the ghetto and his training was Oriental. 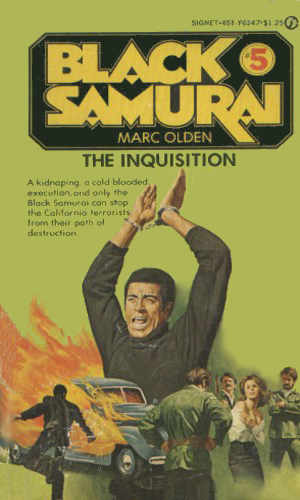 Eight books in a series is pretty impressive but I would have liked to have had more. There isn't a great deal of depth in them but the action is very impressive and the character is interesting.